1 this coat is as timeless and gorgeous as it is expensive, sigh. 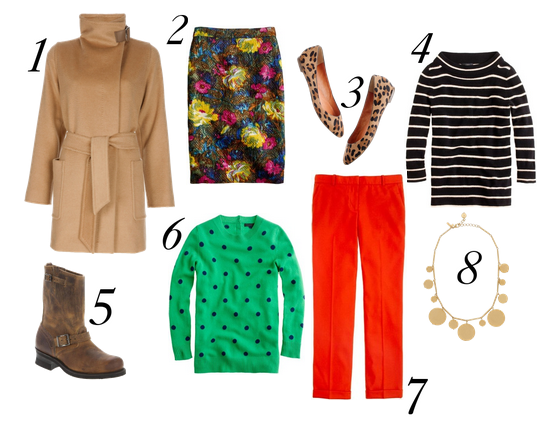 6 darn you, j.crew. fierce green and polka dots? I want it all. 7 again! j.crew! it's a sickness, really. 8 as usual, a little kate spade. just because.